Pensions: 5 reasons to remain invested! Pensions contributions are exempt from income tax and investment returns are exempt from income tax (IT) and capital gains tax (CGT). This means that once contributions have been invested, savings are more tax efficient in a pension than outside of it as withdrawals are taxed at the recipient’s marginal rate. This is particularly important in the case of inheritance Tax (IHT) as assets held within a pension plan are outside of the investor’s estate and should the funds not be required to provide income or spending money they will remain outside of the estate. Every other investment that the client owns is likely to form part of their estate and so potentially be liable to IHT on death. For those over the age of 55 a pension can be viewed as immediate access savings so for those that wish to carry on saving to build up or maintain a rainy day fund could use their pension for this reason instead. Delaying in taking income from a pension offers the chance that more income will be available in later years as well as providing for a loved one should the worst happen. There is a wide variety of investment options including property so there should be something to suit everybody. Although it is not guaranteed, buying an annuity at a later age is likely to result in a higher income, this is due to the individual being older and therefore has a shorter life expectancy as well as them being more likely to qualify for a higher rate for health reasons. Although living longer is generally considered to be a good thing, the likelihood is that the longer a person lives, the more chance there is of them needing some form of care in their old age. 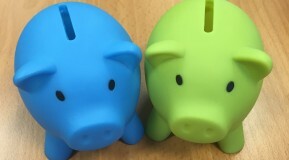 Although there may be state funding quite often the individual or their family may be required to fund their own care and pension savings may provide them with more choices. If you are looking for financial advice about pensions or anything else, please feel free to get in touch using the form below.